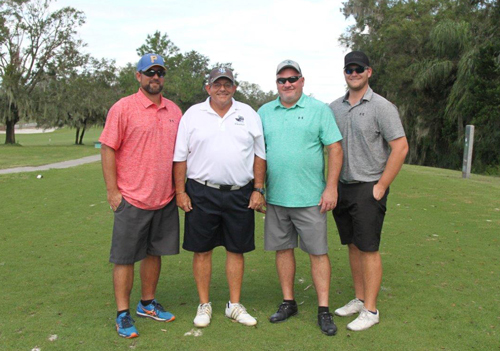 The St. Johns River State College Athletic Association recently hosted its annual golf classic at the Palatka Municipal Golf Course. The first place gross winning team consisted of Lucas Bennett, Kyle Coleman, Todd Coleman and John Garrett. The first-place net winning team, sponsored by Oliver Oaks and Vines, consisted of Palatka High School students Morgan Davis, Lexie Lee, Lauren Mathews and Julie Wilhite. 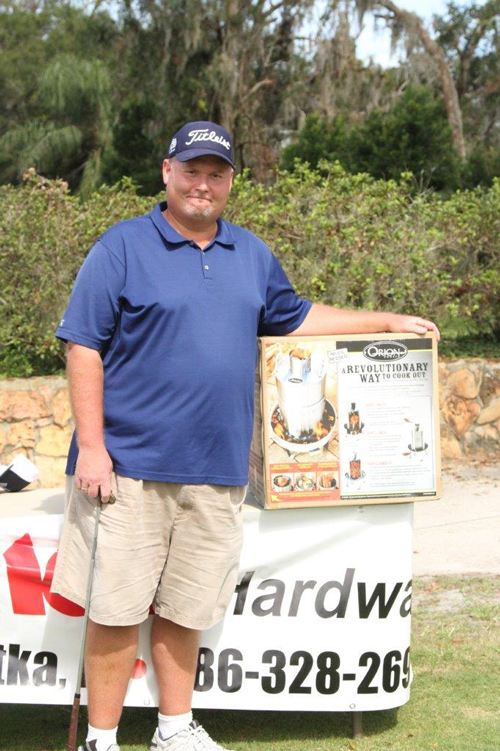 Spanky Aaron won the putting contest and an Orion charcoal cooker donated by Hagan Ace Hardware of East Palatka. Winning “closest to pin” were players Will Papoosha (#3), Greg Bacon (#6), Henry Robards (#12), Spanky Aaron (#14) and Miles Anderson (#16). Jerome Wilkerson won the longest drive on hole number 9. Thanks to the participants, hole sponsors and sponsors Jack Wilson Chevrolet-Buick-GMC, Oliver Oaks & Vines, and Dr. Anand M. Kuruvilla/Cancer Center of Putnam/Putnam Florida Radiation and Oncology Group, the athletic department will continue its recruiting efforts with additional funds for its three athletic programs. SJR State’s athletic programs are based on the Palatka campus and consist of men’s baseball, women’s fastpitch softball and women’s volleyball. For more information, contact the SJR State Athletic Department at (386) 312-4162 or visit SJRvikings.com. (L to R) The first-place gross team was Lucas Bennett, John Garrett, Todd Coleman and Kyle Coleman. 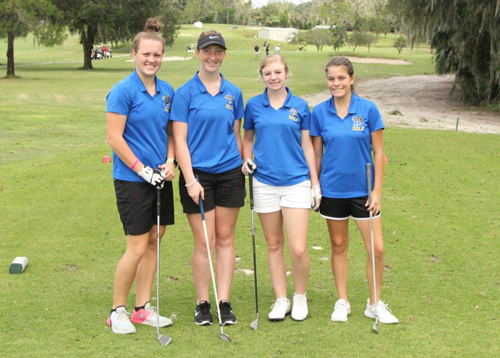 (L to R) The first-place net team, sponsored by Oliver Oaks and Vines, consisted of Palatka High School students Lexie Lee, Julie Wilhite, Morgan Davis and Lauren Mathews. Spanky Aaron was the winner of the putting contest and a charcoal cooker donated by Hagan Ace Hardware of East Palatka.